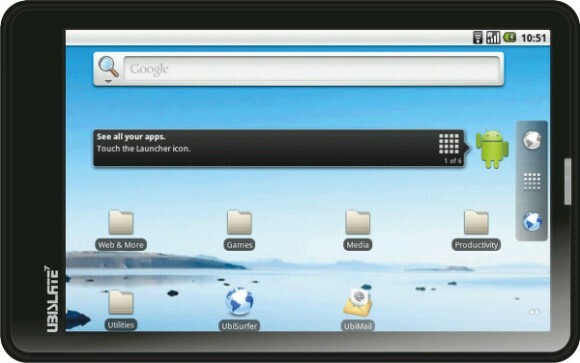 The World’s Cheapest Android tablet – Aakash Ubislate was launched recently. The tablet will be available for students at a subsidized price of Rs. 1700, however it’s retail price is Rs .2999. The Aaskash Tablet has become a reason of curiosity for many as it is the World’s Cheapest Android Tablet. We have tried to collect all the details about the tablet including its specifications, how to buy etc. Read further to know more. The Aakash Ubislate tablet has not yet reached the market, however you can book one by entering your details over here (aakashtablet.com). You can also call toll free number 1800-180-2180 for more details. We will try to get our hands on the Aaskash Ubislate once it is available. What about you, are you planning to buy one?